On January 8th, 1956, Jim Elliot and four other men, died on a beachhead along the Curaray River in Ecuador. These five men, from the U.S., were called by God to reach the Huaorani Indians; This savage tribe was on the brink of extinction, committing genocide, by vendetta spear killings. On that January morning, all four men were killed, while their guns remained locked and unloaded in their plane. They told friends ahead of their deaths, that they were ready to meet Jesus, having been born again, but the Huaorani were not. They were prepared to lay their lives down for Jesus Christ their Lord. The outcome of their death on behalf of our Savior, has been remarkable. As of today most of the tribe has come to faith in Jesus Christ. They have all turned their spears into tools for good use. Our God used the faith of these men, to even bring their killers to repentance and faith in the Lamb of God. 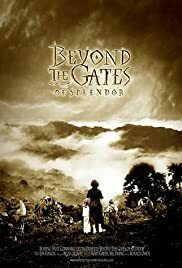 You can further investigate the account of their lives, death’s and the results, in the documentary “Beyond the Gates of Splendor”. I would like to continue by turning to the words of Jim Elliot, years prior to his death. While finishing his degree at Wheaten College, Jim Elliot was determined to follow the call of the Lord, where ever that would take him. Reading this man’s journal is a study in being consumed with Christ and His call. This had potential to cause Jim difficulty, as he as was well liked and popular, and could have been successful in anything. Yet he chose to surrender to Christ. His Christian college professors and church tried their best to steer him away from the mission field, where he would certainly suffer deprivations and possibly bodily harm. They said his talents were needed to stir the church in America. This effort to change his mind, confused him at first, troubled him as it continued and grieved him to righteous anger at its height. Jim’s journal entry records words, that to American Christians may seem like a slap across the face. Consider the call from the Throne above, “Go ye” and from round about, “Come over and help us”, and even the call from the damned souls below, “Send Lazarus to my brothers, that they may not come to this place”. Impelled, then, by these voices, I dare not stay home while Quichuas [another tribe in the area of his death] perish. So what if the well-fed church in the homeland needs stirring? They have the scriptures, Moses, and the prophets, and a whole lot more. Their condemnation is written on their bank books and in the dust on their Bible covers. American believers have sold their lives to the service of Mammon, and God has a rightful way of dealing with those who succumb to the spirit of Laodicea. (Ezekiel 16:48-51) “As I live,” says the Lord God, “neither your sister Sodom nor her daughters have done as you and your daughters have done. Look, this was the iniquity of your sister Sodom: She and her daughter had pride, fullness of food, and abundance of idleness; neither did she strengthen the hand of the poor and needy. And they were haughty and committed abomination before Me; therefore I took them away as I saw fit. We ought to mark the continual scriptural call to “Come out of Babylon” for we are living in it. Why is it so difficult? Because their is so much to gain from a human standpoint, even though we know it will all burn in the day of the Lord. We ought to be concerned with gaining what never perishes, treasure in heaven. Once more I leave you with Jim Elliot’s words. This entry was posted in America, Beyond the Gates of Splendor, calling, Christian discipline, Christian life, christian living, Jim Elliot, persecution, Uncategorized. Bookmark the permalink.